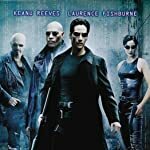 Ghost in the Shell (2017) is Hollywood's remake of Anime of the same title, Ghost in the Shell (1995), one of the few Animes that somewhat inspired a Hollywood movie. 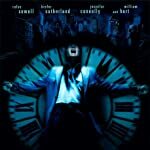 These are some Hollywood movies that may or may not have been inspired by the previous animes. Coincidentally or not, they shared some similarities, either in concept, theme, plot, visual, character, costumes, scene or other aspects. Which pairing do you think has the closest connection? If you haven't seen one or both, which pairing would you like most to discover? Inception and Paprika may not share the same plot, but the similarities between the two films are undeniable. 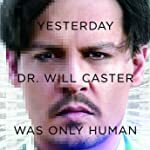 Nolan’s film not only features a dream machine that can enter the minds of others, but it also deals with the concept of reality vs virtual reality and how an individual can really tell whether they’re in the ‘real’ world or not. 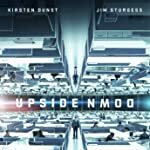 Both films contain a machine which allows its users to plunge into dreams as a central plot device, and both films are imaginative in the way they portray human beings in a totally self-aware state inside of dreams. 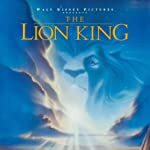 The similarities to Disney's 1994 feature-film blockbuster go as far as many of the scenes in The Lion King seem to be a frame-by-frame recreation of many of those found in Kimba the White Lion in the exact shots (Mufasa on Pride Rock, his ghost appearing to Simba in the sky) to identical characters and story elements. In fact, Lion King star Matthew Broderick thought he was initially working on a version of Kimba. 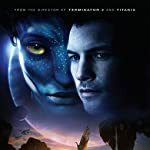 Avatar has been accused of taking ideas from many things, like Pocahontas (1995), FernGully: The Last Rainforest (1992), to Dances with Wolves (1990). But many of the motifs found in Avatar seem to be shared with Princess Mononoke. 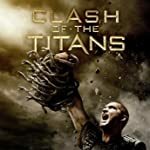 It follows Ashitaka, a prince that travels to Irontown searching for a cure for a curse he received after killing an exiled forest dweller. Upon arriving, it becomes apparent that the town’s founder has been gradually destroying the nearby forest, the home of animal gods and spirits. 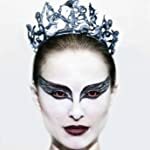 Both story are including environmental degradation, malevolent black goo, a strong female heroine, being "chosen" by the elements, falling in love with a warrior chick and ultimately fighting against the human oppressors who want to mine a metal out of the ground. This one really only goes so far as an iconic costume. Here, Van Helsing is a hunky stud vigilante who turns out to be the earthly incarnation of angel Gabriel. 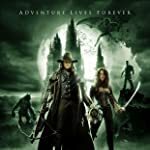 Van Helsing's signature Johnny Cash-style black duds and wide-brimmed hat also happen to be style of choice for a certain Vampire Hunter D, the bloodsucker slayer immortalized in dozens of novels by Hideyuki Kikuchi and two classic anime features that rely heavily on western motifs. 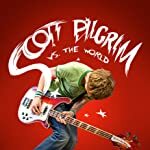 Director Edgar Wright was looking to the world of video games and martial arts movies as the primary ingredients in Scott Pilgrim vs. the World. These movie doesn’t really similiar to a specific anime storyline, but anime in general. Aside from the actual structure of the film being very Japanese in nature i.e. the protagonist must save a girl from several increasingly powerful boyfriends, but the use of flaming katanas, the ability to inexplicably fly and the concept of ‘powering up’ for an attack are all features you would likely find in a Japanese anime. 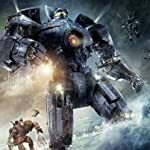 Just like in Evangelion, Pacific Rim deals with the creation of gigantic, humanoid robots that are created with the sole purpose of defending Earth from the invasion of an extraterrestrial race. Unlike other films featuring robots though, Pacific Rim’s monolithic, metal warriors are physically piloted by two humans from the inside. Even the way in which Pacific Rim’s pilots use a neural interface to control their titans is reminiscent of Evangelion’s bio-suit technology. Spike Jonze's Her and the anime Chobits are both about average, antisocial dudes who fall in love with an artificial being. Although they both boast this central idea, it really is hard to get past a fundamental difference, which is that Chobits' female A.I. named Chi has a body in which to "interact" with her man Hideki, whereas Samantha in Her is a disembodied voice with which Theodore can impart all of his innermost desires in order to simulate true intimacy. Eventually, both Chi and Samantha become transcendent beings, but Her is so different both aesthetically and emotionally that it's hard to say there's more than the kernel of the idea in Jonze's work. Both protagonists are called Lucy. Elfen Lied series revolves around the introduction of a species almost identical in appearance to humans called Diclonii. Aside from possessing powers extremely similar to Lucy’s, the anime also deals with many of the same issues that Lucy dabbles in. Diclonii have extremely high intelligence and mental powers but are frequently shown to be just as compassionate as humans, even with their strong tendency towards logic. 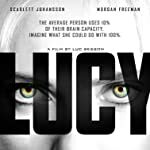 Coupled with the concept of how difference is treated by humans in an almost universally negative way; Lucy may have a different disequilibrium to get its narrative started, but it certainly shares some very similar themes with Elfen Lied. 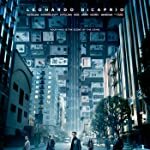 Minus a counterpart to the character of Lain in Transcendence, the film’s plot is almost identical in nature to Serial Experiments Lain, dealing with the same concepts, themes and possible eventualities as the anime does. The anime focuses on Lain, a schoolgirl who slowly comes to the realisation that she’s not really human, but an autonomous, physical computer program that can traverse both the physical world and its digital counterpart: the Wired. Under the tutelage of Masami Eiri, a man who secretly uploaded his conciousness to the Wired, Lain is increasingly encouraged to embrace her digital roots and subsequently become a goddess that can freely control the events of both the physical and digital worlds. In Ninja Scroll, Ninja-for-hire Jubei Kibagami becomes entangled in a battle against demonic forces after a chance encounter when he saves female ninja Kagero from being raped. Jubei makes himself an enemy of the Eight Demons of Kimon: ninjas with superhuman powers with plans to overthrow the Japanese government. 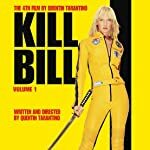 Quentin Tarantino’s Kill Bill films played with the Western perception of Japanese over the top action sequences, so it’s not hard to see a little bit of Ninja Scroll in the finished product, without counting the anime-style segment in the first film! Although Patema Inverted came after Upside Down, the anime was in the production much longer. Both films shared the main similiar concept of gravity run amok. This one is not from anime, but manga, that's close enough. 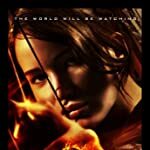 Both Battle Royale and The Hunger Games are about teenagers who are involuntarily forced into lethal contests organized by the government with some similarities like: nationwide program to instill terror, a brutal fight to the death, crazy old dudes who want nothing more than see the results of their power trips, dream sequences, danger zones, and love for the main heroine. Director Alex Proyas has admitted on several occasions that the climactic telepathic duel between John Murdoch and Mr. Book (with all the resultant property damage) was rather heavily inspired by the climatic telekinetic duel between Tetsuo and Kai (with all the resultant property damage) in the Akira manga. The pale, shriveled Strangers of Dark City also bear a striking resemblance to the pale, shriveled espers of Akira. In fact, the final sequences of the film, in which buildings begin to restore themselves, are a direct homage to Akira . Louis Leterrier has said in an interview with the Japanese media that the armor-like costume was inspired by the anime Saint Seiya, which also borrows heavily from Greek legend and in which the characters battle with each other wearing special armor called “Cloths”. Leterrier says he is a huge of the anime which he saw in his native France and had thought the Cloths looked so cool that he wanted to pay homage to the anime in his movie.